Annette Rotter earned her B.A. in American Studies from Brown University in 1984 and a Ph.D. with distinction in Clinical Psychology from Yeshiva University in 1990. 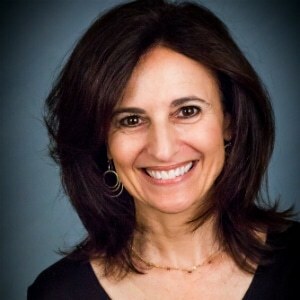 She has been in private practice since 1991 and has also served as an adjunct professor in Developmental Psychology at New York University Graduate Psychology Department. Annette has extensive clinical experience working with families in crisis and teaching parents the skills to reduce conflict and address the developmental needs of their children. Her private practice in White Plains, New York includes work with couples, adults, adolescents and divorcing parents. Recent published articles relate to the use of Co-Parenting Therapy for divorcing couples in order to protect families from the damaging effects of high conflict. Annette is the immediate past Chair of Board of Trustees of the Play Group Theatre (PGT) and was a Board member for eight years. PGT is a theatre education not-for-profit for children and young adults in White Plains. During her tenure, Annette developed and continues to expand community partnerships between PGT and local agencies such as El Centro Hispano and White Plains Youth Bureau in order to provide arts education programs to underserved youth in Westchester County, New York. Annette has been a Co-Leader of the Westchester Hudson Valley SOSS chapter since January 2016. This chapter is piloting the participation of high school teens in the core membership of the group with two sets of twins, one Muslim and one Jewish.